People in your lives may come and go but their memories will always stay in your heart. Every individual tries to keep these memories safe in pictures for years to come. Thus, they look for a picture frame that can keep it secure. If you are also looking for one, then you must think of custom picture frames. Yes, you can have them designed in your favorite color, design and theme. Once you have hired an experienced photo framer, your pictures are going to get a new life. Personalization- The foremost benefit of having a custom picture frame is that you can have them the way you want. These frames can turn out to be a great way to express your feelings and emotions. It may be possible that your neighbor next door has the same sofa and table as you have. However, nobody can have the same customized picture frame that you have. It adds uniqueness to your living space and enhances the overall look of your artwork or whatever photo you have framed. Protection- When pictures or photos are not properly framed, they are prone to all kind of damages and dirt. A spilled liquid or a shattered dish can blemish the photo and make it beyond recognition. Therefore, it is important to shield the precious photos through a frame that has a fiber or glass layer on it. You must go for plastic or fiber layers, as they are not at risk of shattering. Further, explore some frames that are resistant to scratches. Such frames are not required to be replaced after few months or years. Wooden frames are the right framing structure, considered to be the best in this regard, as they last for a long time. Artistic appeal- No doubt, when you get the picture framed in your style, it offers a very artistic appeal. Since you have used your favorite colors, patterns or designs on the picture frame, it looks exclusive as compared to the other ordinary frames that are available in the market. Customization shows your artistic nature and the type of personality you have. Thus, you should be very careful while customizing your picture frame. Wide variety- When you visit a custom picture framing shop, you will get an opportunity to select from various types of materials. You can choose the one that is rare and within your budget. Make sure you select the material that is sturdy enough to remain intact for years to come. 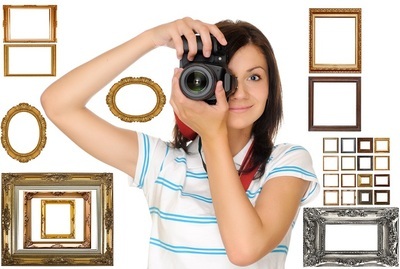 Whether you want to frame your teenage picture or your painting, you can get the best material for everything. While choosing the perfect picture frame for your photo, you must consider certain factors. To start with, you should have a clear knowledge of the years of experience that the framer has in the field. The framer should be able to display his/her earlier framing works in order to give you a fair idea of it. Make sure that the framer uses UV protected glass and does not use matte made up of wood cellulose. Only high quality and acid-free materials must be used for the custom picture frames. Unless the framer you have chosen has the complete knowledge of the right size, color, proportion and the design, he will not be able to set things right. Therefore, you have to be very particular while selecting a framer for your custom picture frames. Unfortunately, there is no certification for the job. So, you usually have to go by your gut instinct and the examples the framer shows you.